An exciting and an interesting battle looms in the Vodafone Cup semifinals at Churchill Park tomorrow. Fiji National Rugby League development officer Jone Wesele has rated this Saturday’s match as clash of the titans. 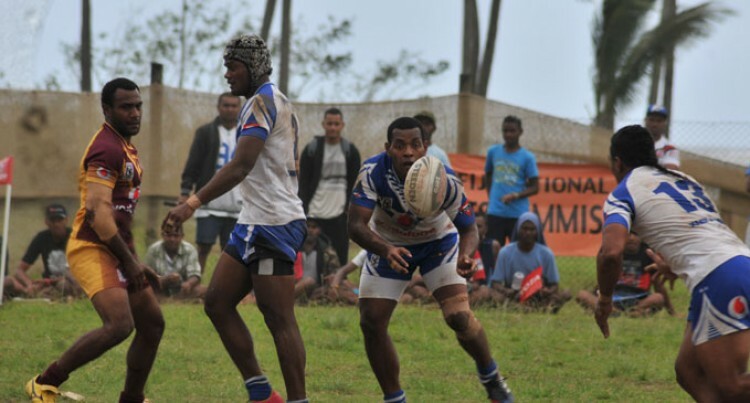 In the first top eight semifinal will see Tifa Jek Hot Springs Sabeto Roosters take on the Fair Trade Makoi Bulldogs while KBL Saru Dragons is up against the Dee Cees Nadera Panthers. “These matches will be very exciting as we see the two Eastern teams Makoi and Nadera are hungry for the title and will not leave any stone unturned come game day,”Wesele said. FNRL will be expecting a good turnout tomorrow. “We’ve come a long way this season and we acknowledge all the new teams that joined in the competition this year. “The main message that we have been telling these new teams is that winning is not important in this competition what matters is the development of players,” he added. The first game will see Dee Cees Nadera Panthers against KBL Saru Dragons in the first Reserve grade semifinal at 8am while in the other semifinals will see Tifa Jek Hot Springs Sabeto Roosters against pack leader Nabua Broncos at 9:25pm. Top Eight:1:50pm: Tifa Jek Hot Springs Sabeto Roosters vs Fair Trade Makoi Bulldogs, 3:20pm; KBL Saru Dragons vs Dee Cees Nadera Panthers. U14: 3:30pm: KBL Saru Dragons vs Nadi Raiders, 4:35pm; Lautoka Crushers vs Malawai Sea Eagles. U18: 10:10am: Tifa Jek Hot Springs Sabeto Roosters vs Narere Eels, 11:15am; KBL Saru Dragons vs Shore Buses Wailada Warriors.